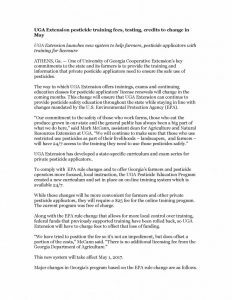 There will be changes coming on May 1st, 2017 on how UGA Extension handles Pesticide Education. Please read the press release below and call you local extension agent if you have any questions. 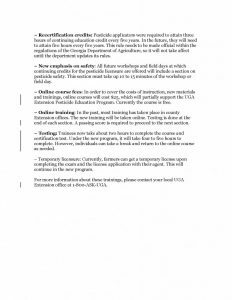 Posted in Pesticides, Trainings/Classes. Bookmark the permalink.